A delegation from Team Solidarity, Boston School Bus Drivers, Steelworkers Local 8751 toured the West Coast from July 18 to 24 to bring the lessons of their recent historic victory against Veolia/Transdev/City of Boston union busting. Entitled “Solidarity Works,” the whirlwind, five-city tour included labor/community rallies; a presentation at the historic International Longshore and Warehouse Union Local 10 membership meeting; a class held at Berkeley’s Labor Studies Department at the University of California; a radio interview; a solidarity stop at the Bay Area Black Lives Matter and BYP 100 occupation/blockade of the Oakland Police Officers’ Association office, and showed solidarity with the Seattle Disability Liberation Front at their demonstration at the Metro Access building. The delegation was comprised of USW 8751 Treasurer Georgia Scott, Shop Steward Nora Braggs, Recording Secretary and Boston Fanmi Lavalas leader Claude “Tou Tou” St. Germain, Vice President and Local co-founder Stevan Kirschbaum and this reporter/photographer. The team’s presentations explained that on Dec. 18, under the leadership of Team Solidarity, USW 8751’s 1,000 members forced the bus company and city of Boston to sign agreements which reinstated the four illegally fired union leaders: President Andre François, Vice President Kirschbaum, Financial Secretary Steven Gillis and Grievance Chair Garry Murchison. The union’s members, who are 98 percent immigrant, Black and Brown, also won a historic contract protecting more than 40 years of collective bargaining progress with substantial, fully retroactive economic gains. The no-concessions contract included agreements to resolve hundreds of backlogged grievances and an ironclad “Union Security Agreement” guaranteeing these gains — no matter which bus company management firm gets the contract from the city of Boston. During the course of a nearly three-year battle against global capitalist monolith Veolia, the city union-busters, the Boston cops and a relentlessly vicious anti-union media campaign, the rank and file, with solidarity from the communities, labor and the progressive political movement, organized and carried out countless rallies, picket lines, occupations, “pack the court” demonstrations and marches, defeating the most serious attacks in the local’s 40-plus-year history. 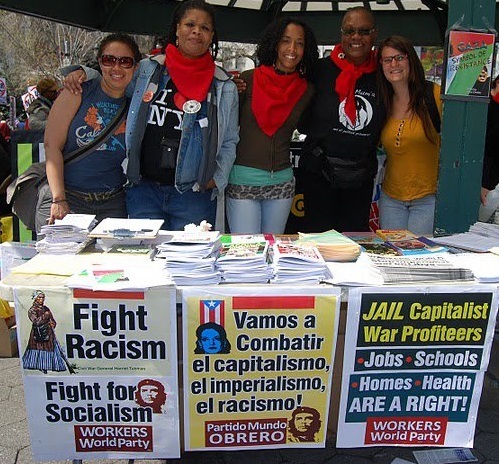 This included defeating a 9-month frame-up, felony prosecution; relentless daily attacks on the members’ wages, benefits and rights; and a coordinated attempt to remove what the bosses called the “radical, rogue element” — the revolutionary, politically activist leaders who had provided leadership for decades. In April 2015, Team Solidarity fielded a slate of 17 “radicals” and swept every position in the Local’s Executive Board elections, with a historic voter turnout by a massive mandate majority! The tour delegates’ presentations were designed to share their experiences and make the lessons of the victory the collective property of labor and the progressive movement. Georgia Scott explained the critical importance of solidarity with the community. She described how the local had built this relationship through years of struggle for the community, fighting against school closings, segregation and the closing of the Roxbury post office, and marching against racist police terror and in support of the Black Lives Matter movement. Scott has been active in the Black Freedom struggle ever since she participated, at the age of 9, in the “Bloody Sunday” march for voting rights over the Edmund Pettus Bridge in Selma, Ala., the city where she was born. Nora Braggs, also a veteran of the struggle from Mobile, Ala., detailed the determined unity in action of the rank and file, who organized weekly yard rallies, picketed the corporate offices, mobilized hundreds of drivers to pack the court for more than 9 months, and consistently raised funds to support the four fired leaders and their families. Claude “Tou Tou” St. Germain pointed out that for this majority Haitian union, this struggle was a logical extension of the Haitian people’s struggle for self-determination, from the first successful slave revolution against French colonialism to the current struggle against U.S. imperialism. The delegation concluded that Team Solidarity’s style of unionism was a conscious strategy to reclaim the union movement’s legacy of uniting the union and people’s struggles to fight all of capitalism’s attacks on the working class and oppressed. Service Employees Local 721 hosted the first tour meeting at their headquarters on July 19. Rebecka Jackson, of Workers World Party, chaired the meeting, and Local 721 President Bob Schoonover made welcoming remarks. Sherna Gluck, of the Boycott, Divest and Sanctions movement, gave a solidarity statement in which she described their successful campaign against Veolia, opposing the corporate giant’s role in supporting the oppression of Palestinians. Lawrence Reyes, Yuisa Gimeno and other members of the Latino Caucus of SEIU 721 spoke and coordinated the meeting with organizers from the International Action Center. A delegation from the San Diego Branch of Workers World Party also attended the meeting. 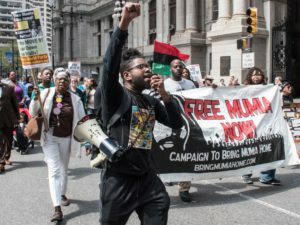 The tour went directly from the airport on July 20 to join the Bay Area Black Lives Matter/BYP 100 occupation/blockade of the Oakland Police Officers’ Association building. 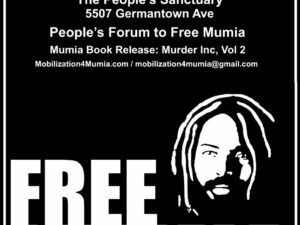 This event was part of nationally coordinated actions to expose the complicity of police associations in the wave of racist police terror. Clarence Thomas, of International Longshore and Warehouse Union Local 10; Dave Welsh, of the San Francisco Labor Council; and Terri Kay, of Workers World Party, joined the tour delegation. The next day, the Team Solidarity delegation divided to cover two events. Braggs and St. Germain participated in a community meeting hosted by the Haiti Action Committee. Meanwhile, Scott and Kirschbaum spoke at the monthly membership meeting of ILWU Local 10. They were introduced by President Ed Ferris and welcomed by Stacey Rodgers, the Local 10 member who facilitated the speaking invitation. The morning of July 22 began with a KPFA radio interview with “Tou Tou” St. Germain discussing the tour and the current situation in Haiti. Then the delegation spoke to students spending their summer doing union organizing through a UC Berkeley program. Alicia Flores, the Labor Studies Department program director, had found information about the Solidarity Works West Coast Tour on Facebook and contacted the organizers to arrange for a special presentation to her class. During the presentation and lively question and answer session, students commented that they were inspired by the story of Local 8751’s victory, the union’s unique, militant, politically activist leadership, and the fact that two Black women and a Haitian leader led the presentation. That evening, a labor/community meeting was hosted by Amalgamated Transit Union, Local 1555, representing Bay Area Rapid Transit workers. President and Business Agent Chris Finn opened the meeting by discussing the similarities between the experiences of Team Solidarity and the ATU’s recent strike victory against BART. Veolia’s chief union busting BART negotiator, Thomas P. Hock, was also the key engineer of the attack on Local 8751. A delegation from the San Francisco School Bus Union, SMART 1741, which included Chairperson Lois Correa, attended and gave a solidarity message and donation. Clarence Thomas, of ILWU Local 10 and the Million Worker March Movement, spoke of his union’s legacy of fighting racism and raised the local’s 1972 resolution at the ILWU convention to “Free Angela Davis” — a resolution that, as reported in the Dispatcher, newspaper of the ILWU, “linked her prosecution with the prosecution of other labor militants … from Tom Mooney to Harry Bridges.” He stressed the critical tasks of building union solidarity and action with the Black Lives Matter movement, to return to the old-fashioned “trade unionism of Harry Bridges” by taking mass action to protest the police killings of Black and Brown people. A labor/community event held at the AFL-CIO Labor Temple on July 23 was sponsored by a broad coalition, including the A. Philip Randolph Institute (APRI), Stop Veolia Seattle and the Disability Liberation Front. Additional organizers include Ninus Hopkins, paratransit driver and executive board officer of ATU Local 587; Leith Kahl of ILWU Local 19; Jim McMahan of Workers World Party; and ILWU Local 23. Gabriel Prawl, vice president of ILWU Local 52 and president of Seattle APRI, chaired the meeting. Monica Lewis-Patrick, of “We the People of Detroit,” gave a Skype presentation about Veolia’s role in the Flint, Mich., lead poisoning crisis. Lewis-Patrick stressed the necessary solidarity and interconnectivity of union and community struggles. The delegation joined members of the Disability Liberation Front, ATU Local 587 and Stop Veolia Seattle outside Metroaccess Paratransit offices on July 24 to demand full and equal rights for riders with disabilities. ILWU Local 23 in Tacoma hosted the final meeting of the tour on July 24. Brian Skiffington from Local 23 made welcoming remarks and chaired. Additional speakers included Susan Koppelman, representatives from Jewish Voice for Peace and the BDS movement, and the Tacoma Teachers’ Union. 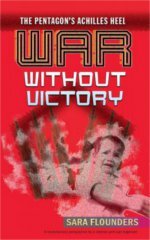 Team Solidarity brought with them 200 copies of a new, 76-page, illustrated pamphlet, “Boston School Bus Union Victory — Articles from the pages of Workers World newspaper,” which were distributed in all the cities. 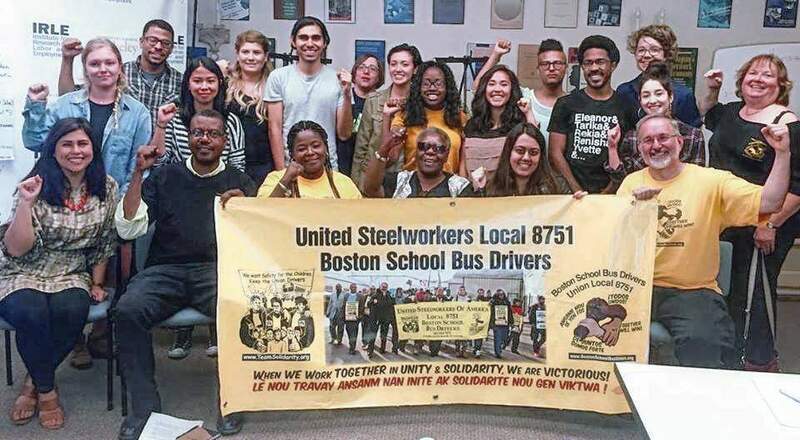 From Los Angeles to Tacoma, West Coast activists in the labor and political movement heard firsthand the story of the Boston School Bus Union victory against union busting from a delegation of those who led the struggle. During the vicious, nearly three-year attack to destroy Local 8751, the local and national press, their editorials and commentaries, and the radio, TV and print media spewed endless lies. When the union won, the silence of the bourgeois press was deafening. Tours like this, as well as coverage in union and political newspapers and social media, must spread the word. The tour also created a network of activists ready to build for the struggles of the future.